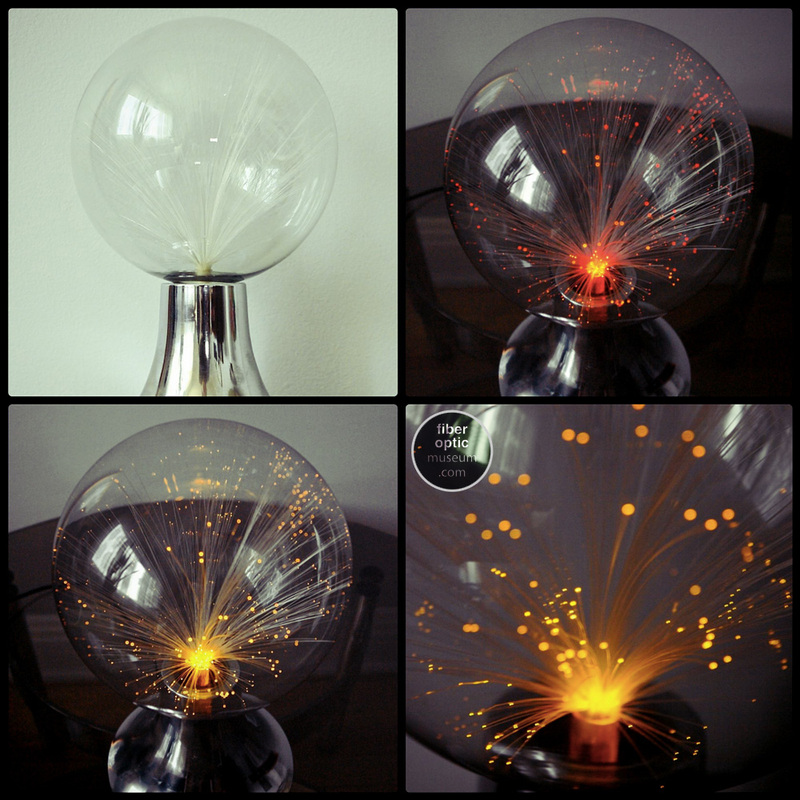 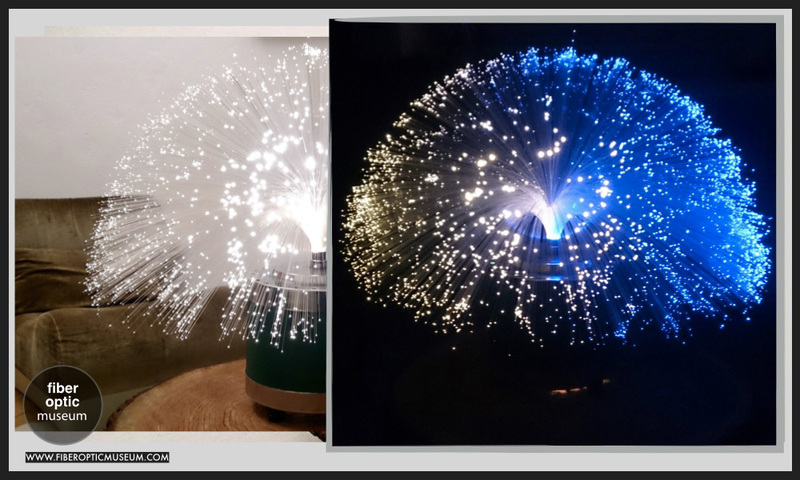 In the 1990s, Crestworth Trading would become known as Mathmos, famous for being the inventors of the lava lamp and also creating a selection of fibre optic designs such as: Jupiter 2, Starburst and Fibre Space. 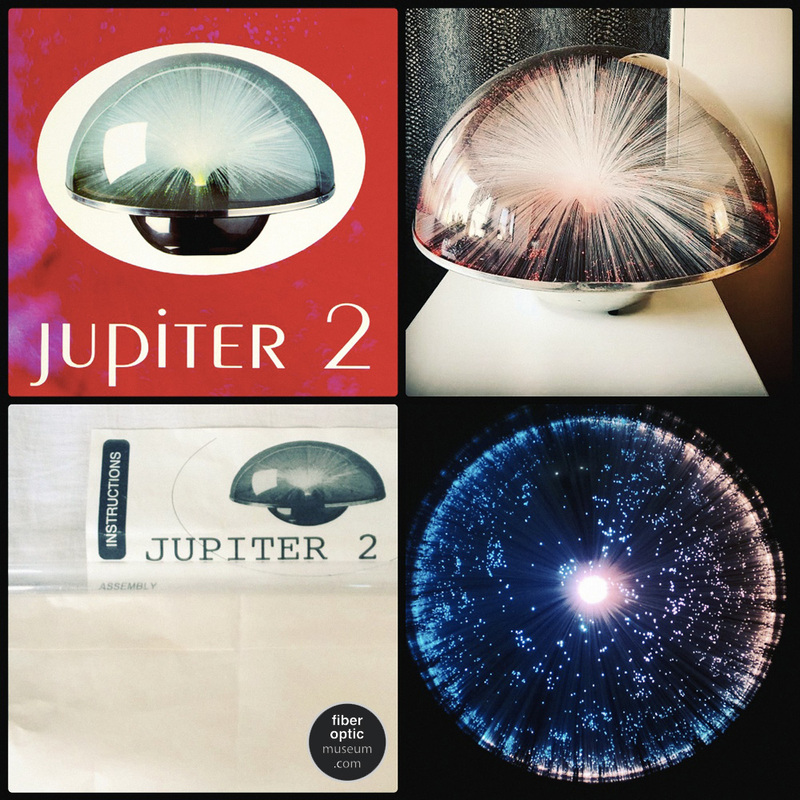 Jupiter 2 was in many ways inspired by the Crestworth Galaxy featuring the fibre optics located under a safe perspex enclosure away from curious hands. 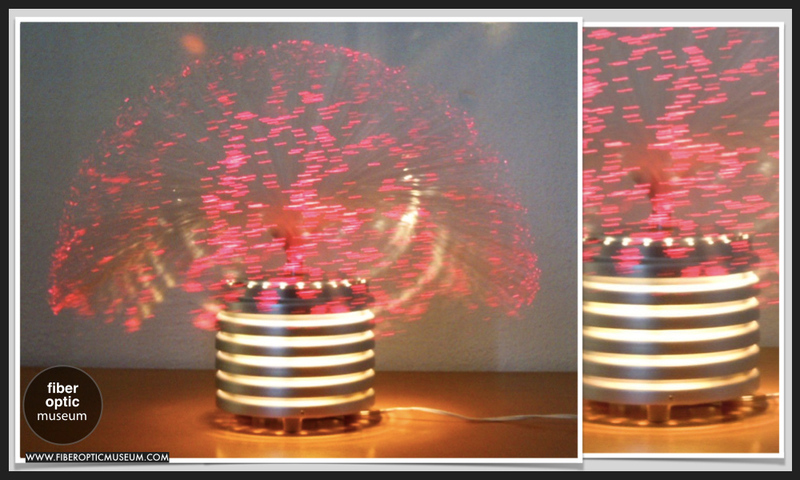 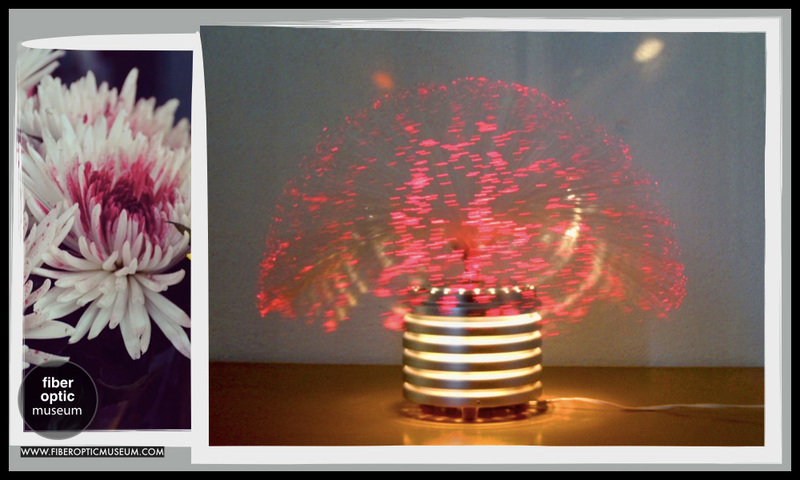 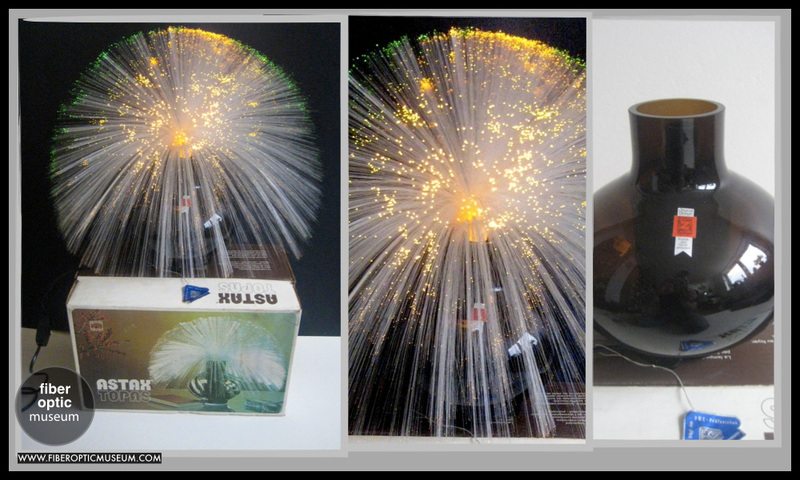 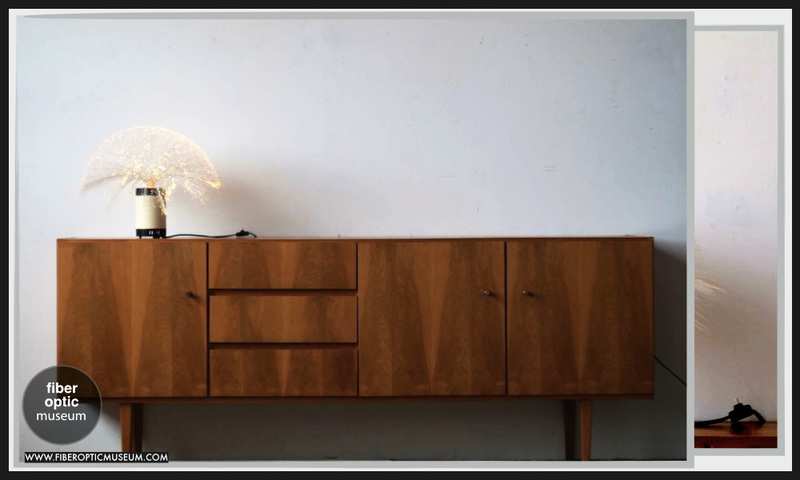 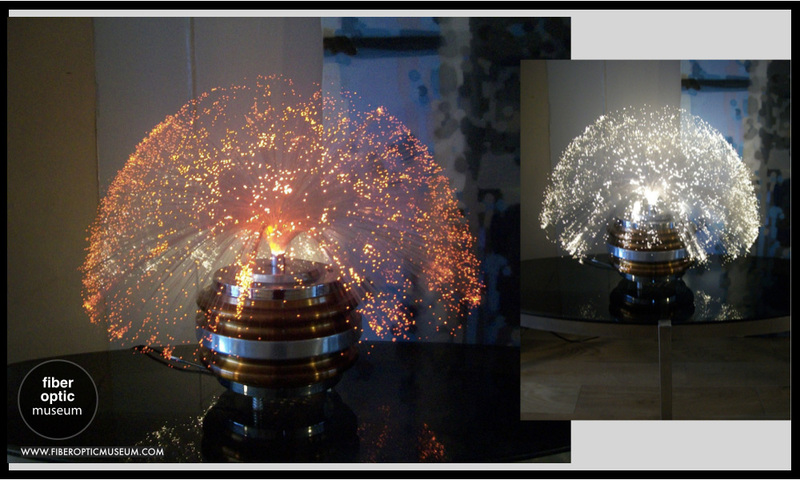 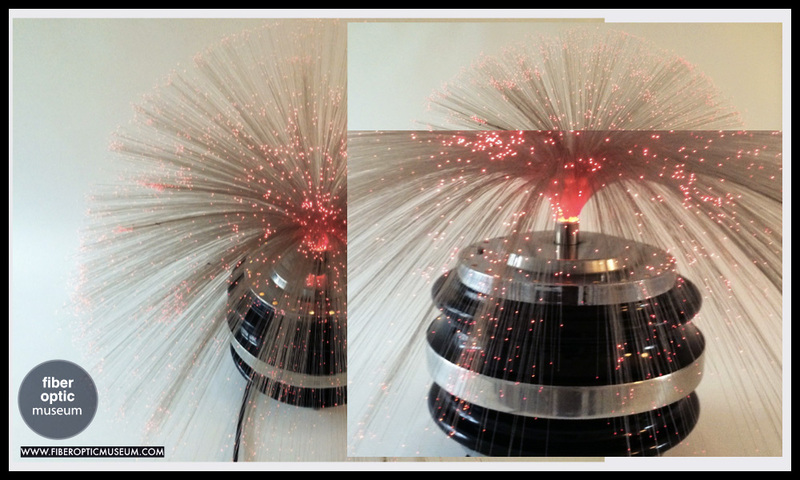 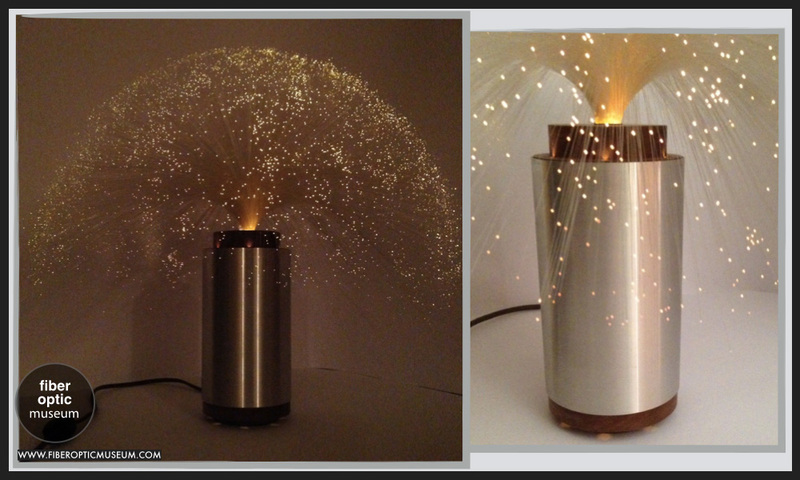 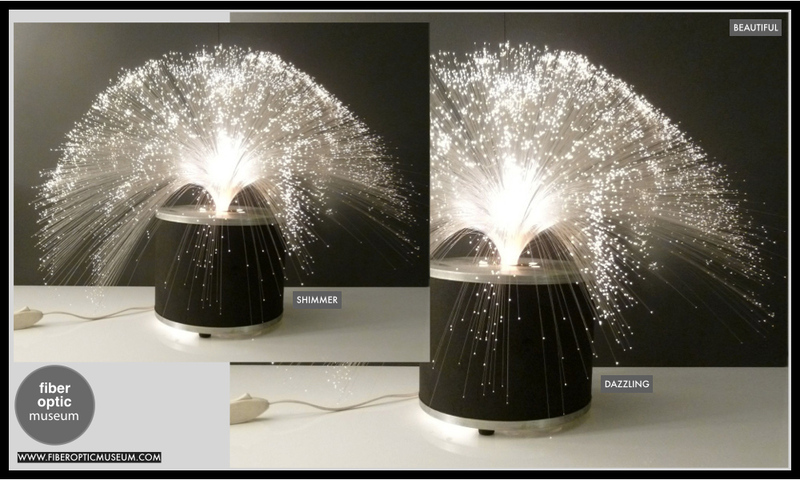 Starburst is a fibre optic design by Mathmos which is rarely seen and very few of these were actually manufactured. 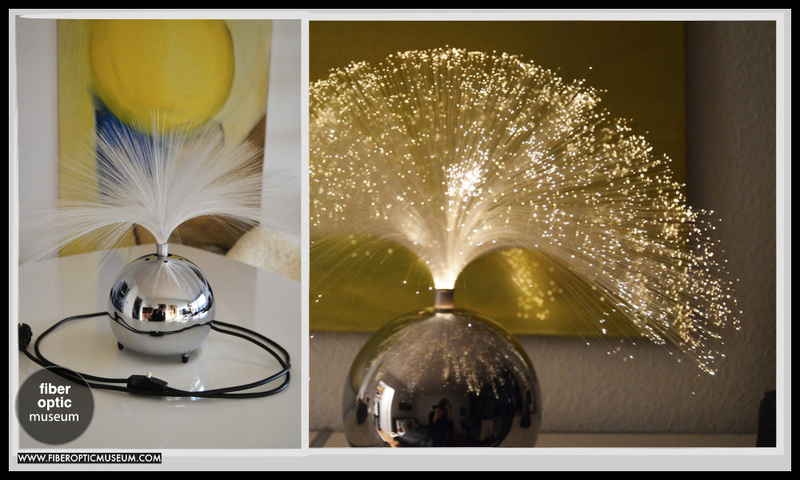 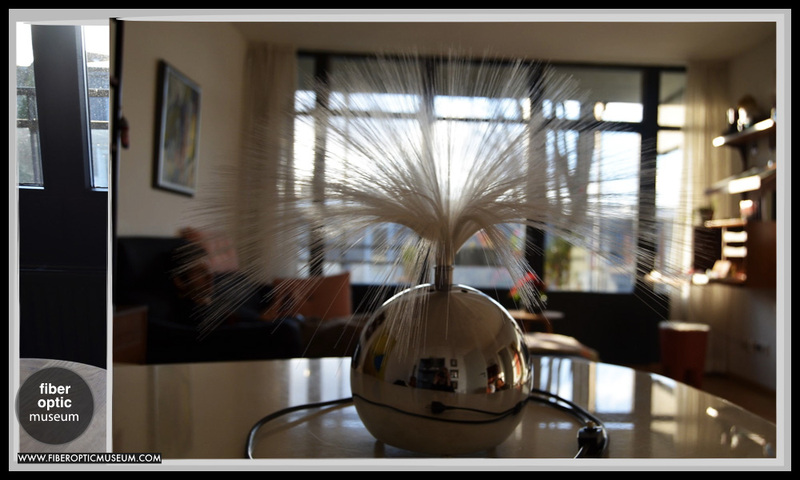 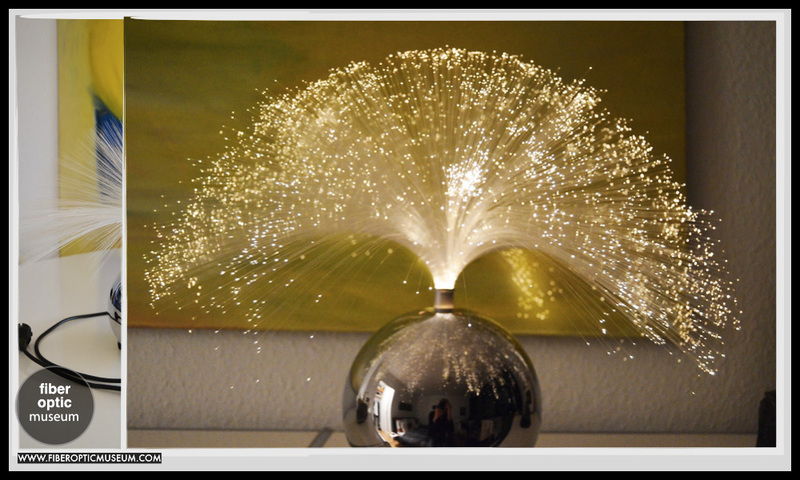 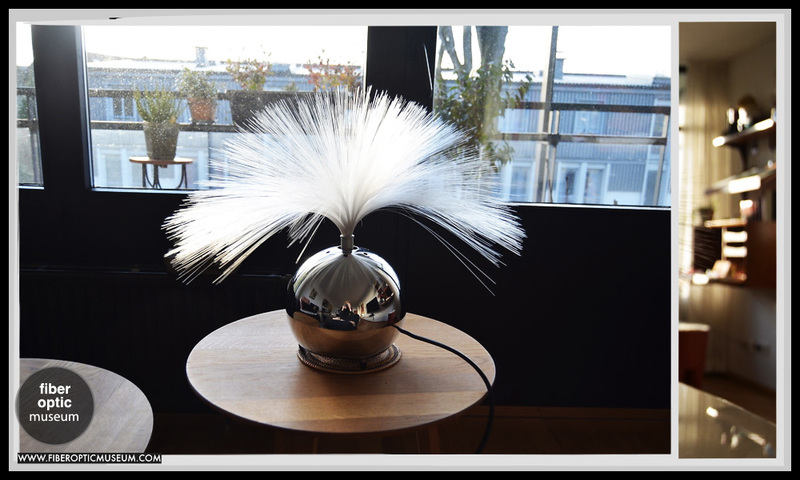 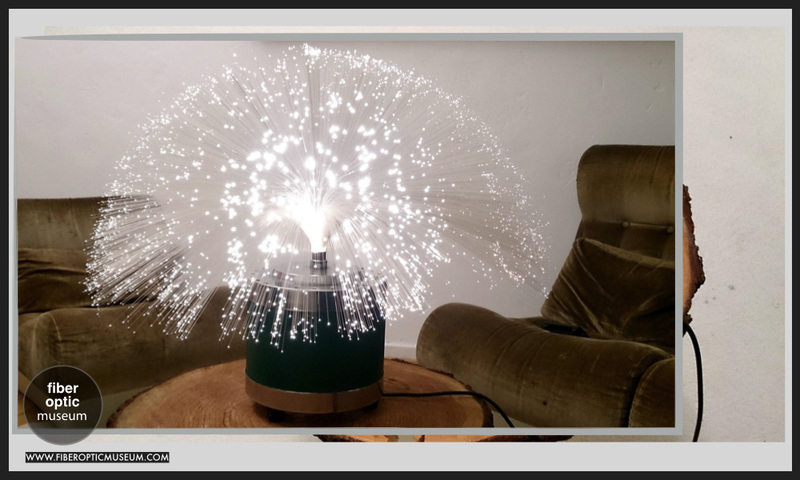 Fibre Space was Mathmos' hit fibre optic product, inspired by UFO space ships and a rather simple base design, this lamp was a hit! 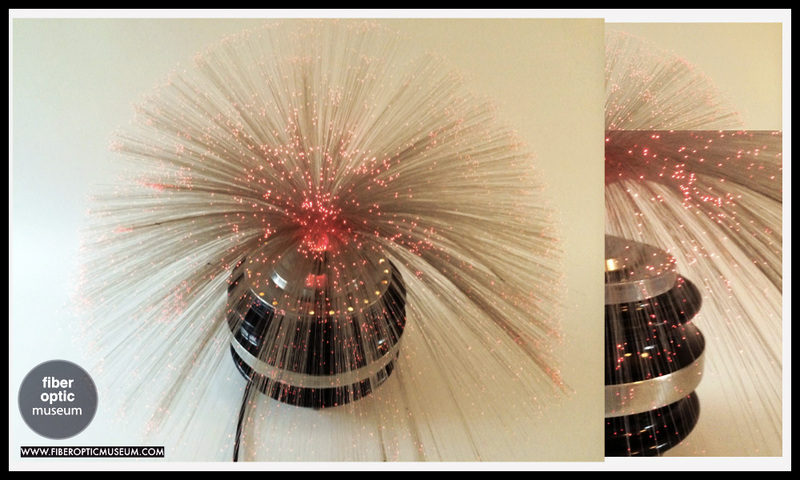 There are two versions of the Mathmos Fibre Space, the first features a black underside that houses the original colourwheel. 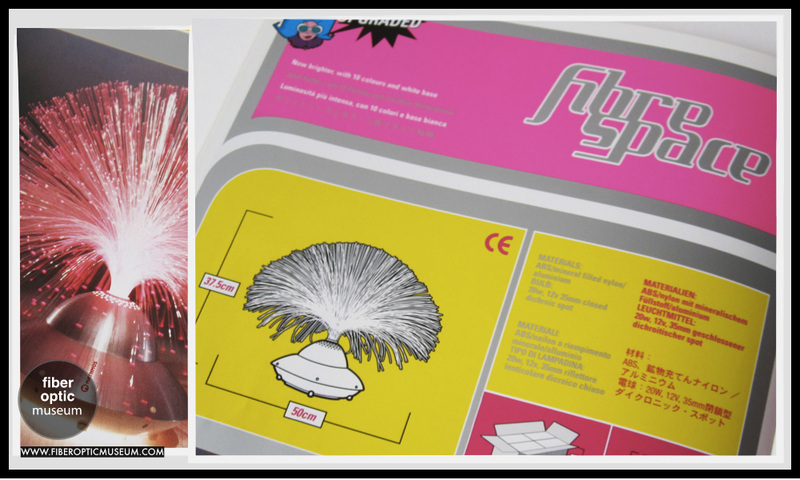 The second edition with a white underside, features a brighter colourwheel with even more colours. 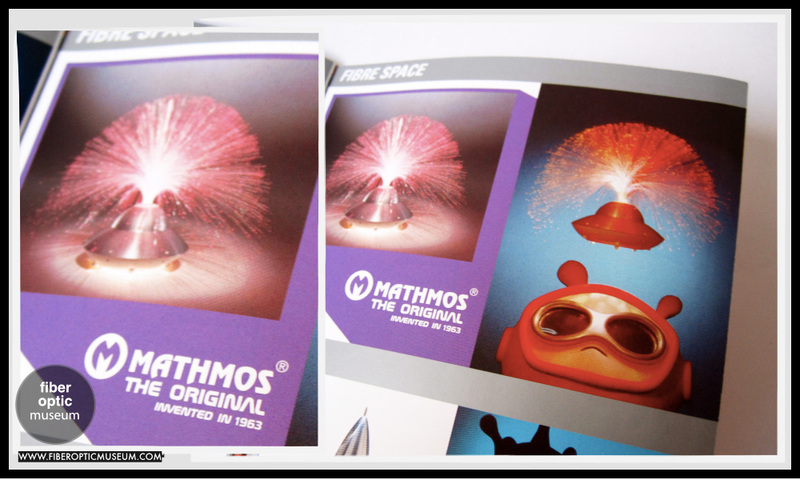 However due to copies of the Fibre Space, it was discontinued and would be Mathmos' last fibre optic product of the 1990s and beyond. 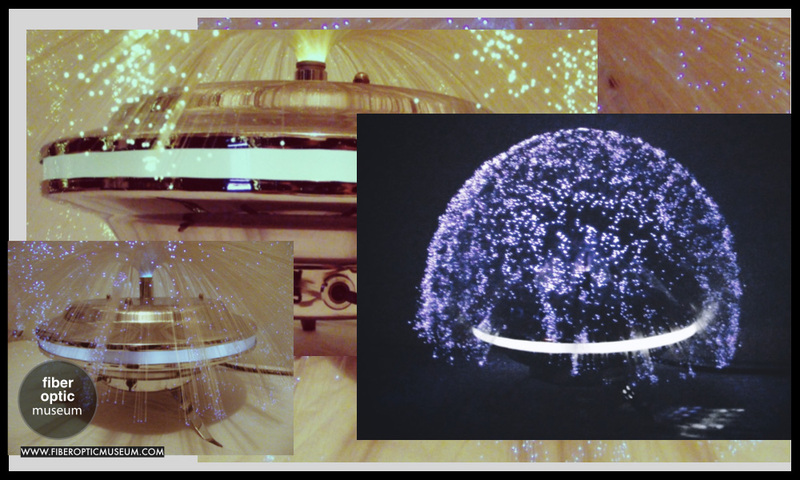 Mathmos' Jupiter 2 was in many ways inspired by the Crestworth Galaxy featuring the fibre optics located under a safe perspex enclosure away from curious hands and is often a forgotten piece of Mathmos lighting. 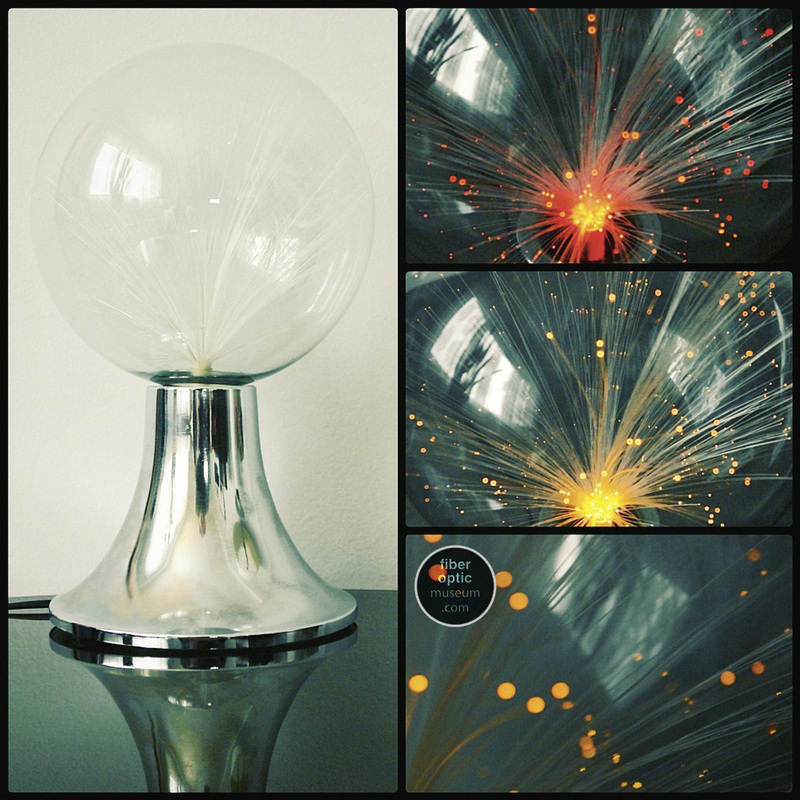 This wonderful lamp was directly inspired by Crestworth's Galaxy but is switches the black plastic smokey enclosure for a metal base and a clear perspex enclosure. 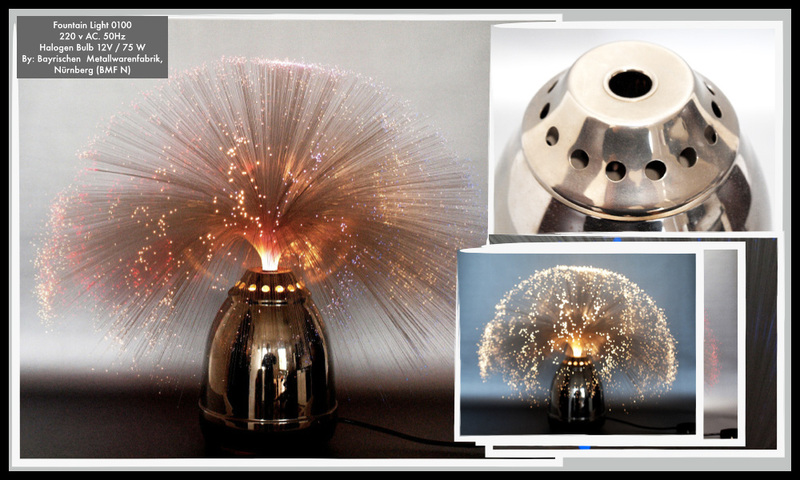 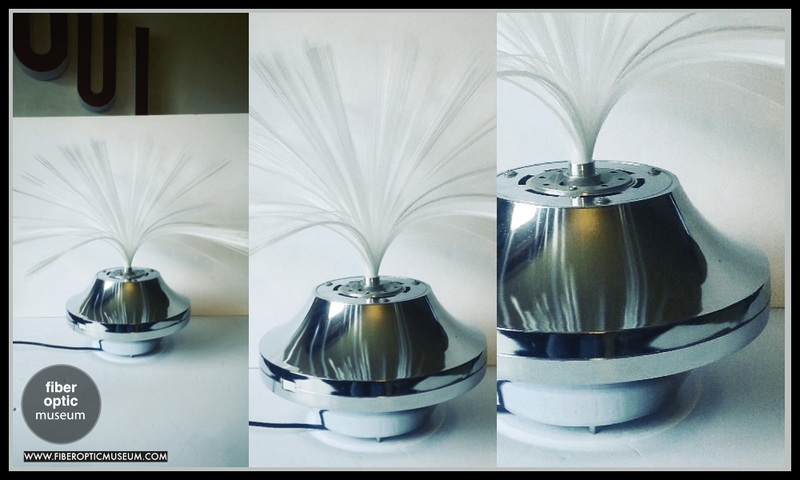 Unlike Galaxy Jupiter 2 does not include a fan so the optics do not shimmer or move but that does not detract in any manner from the beauty of this wonderful piece of kinetic lighting. 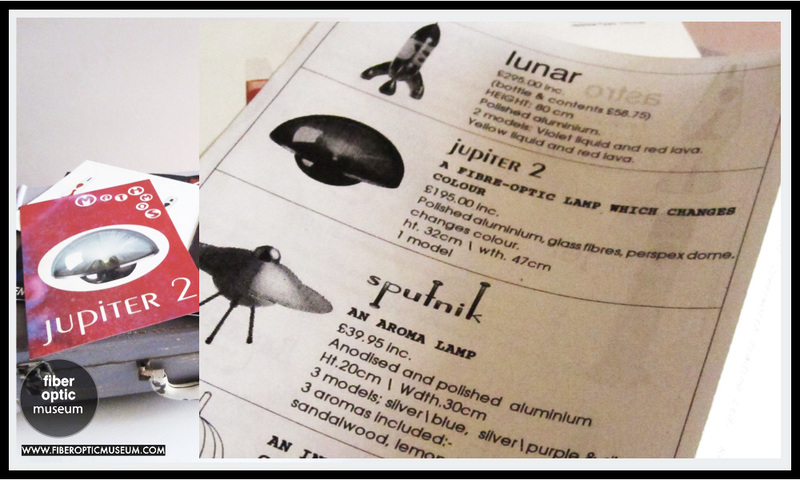 Jupiter 2 was priced at £195 and was manufactured from polished aluminium, glass fibres, perspex dome. 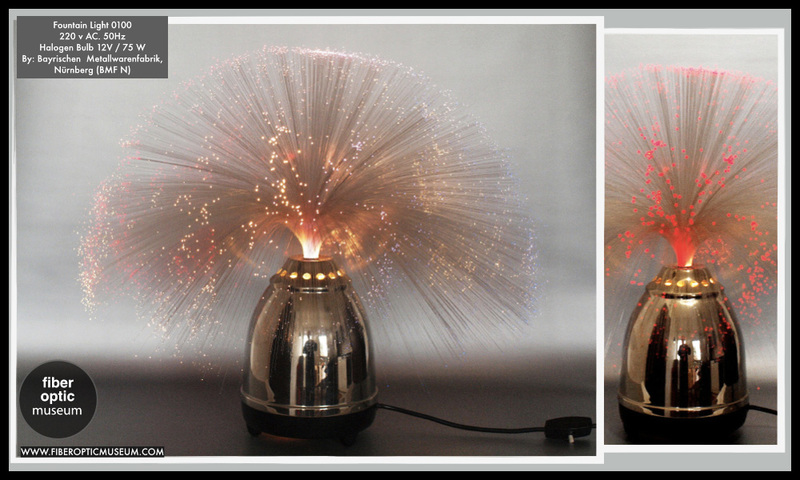 h:32cm w: 47cm One model: light colours: blue,red,yellow and green. 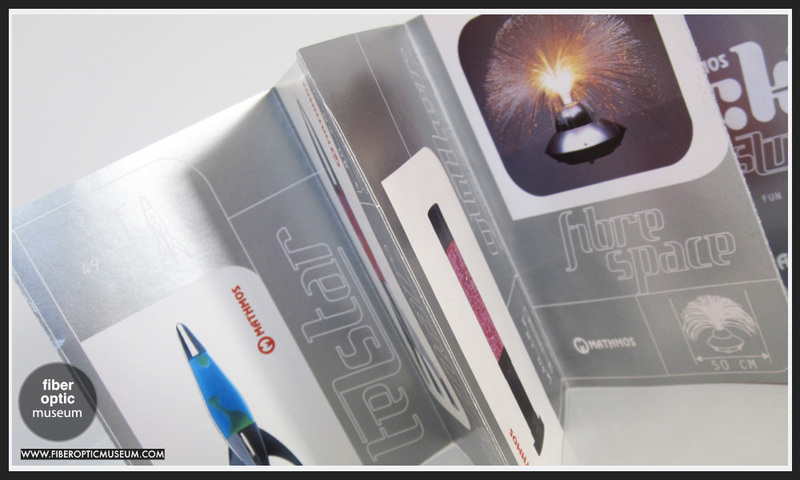 Launched by Mathmos 1992 discontinued 1996. 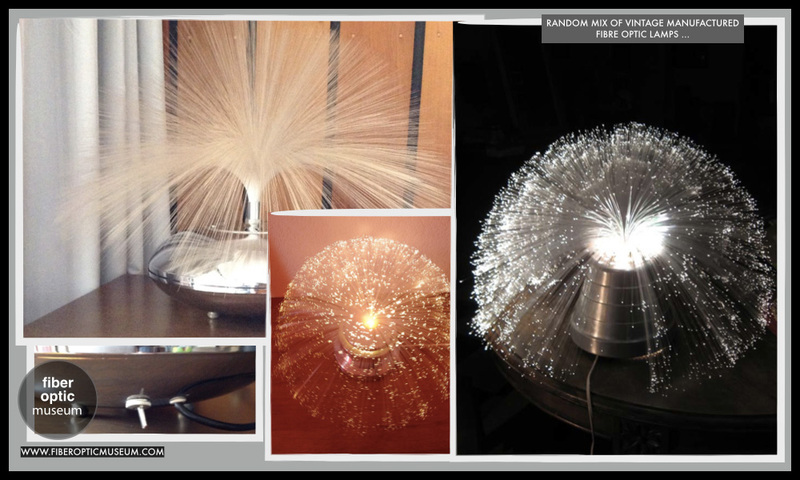 (Please see images below). 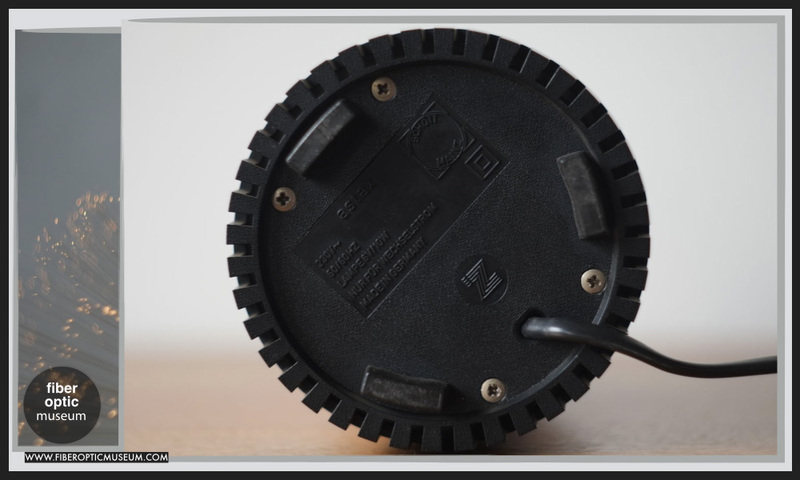 The following details are found under a Jupiter 2: 12V 20W| Supply: 220/250v 50Hz Transformer rating 20VA. 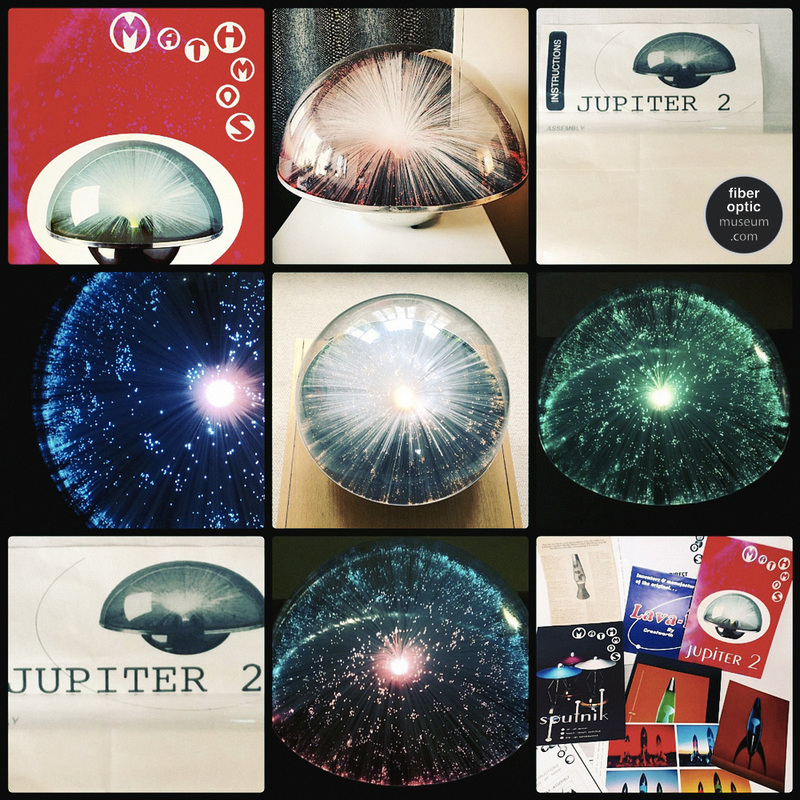 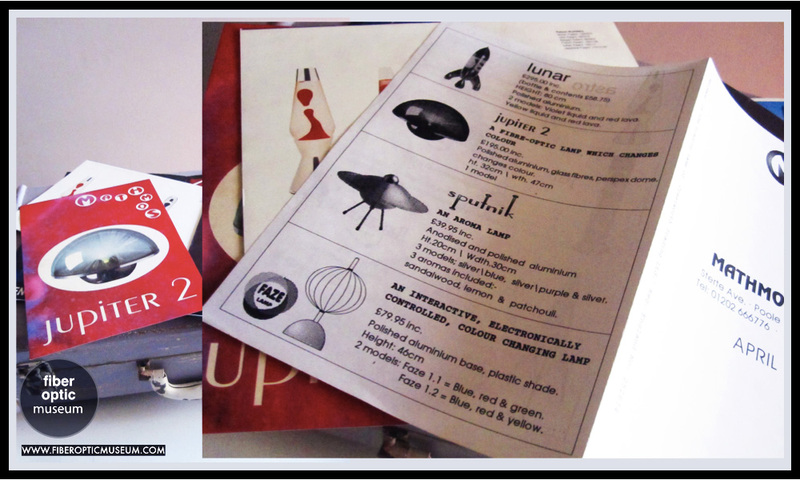 With special thanks to Michael Marx and hund.interior for their images of their Jupiter 2. 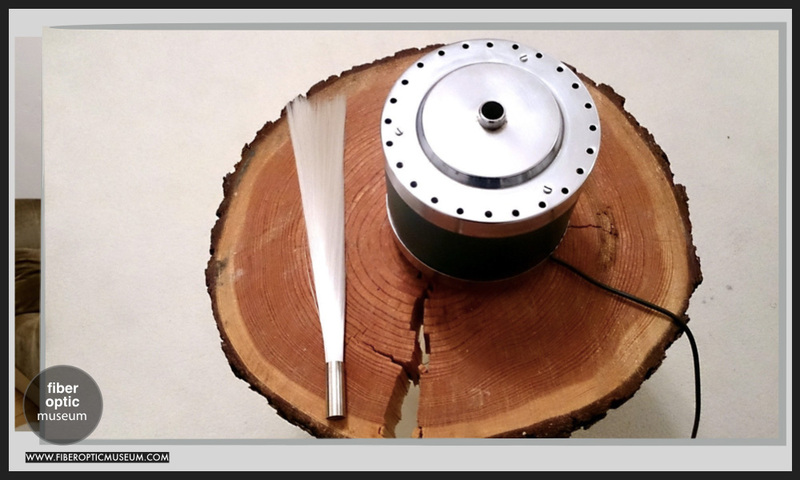 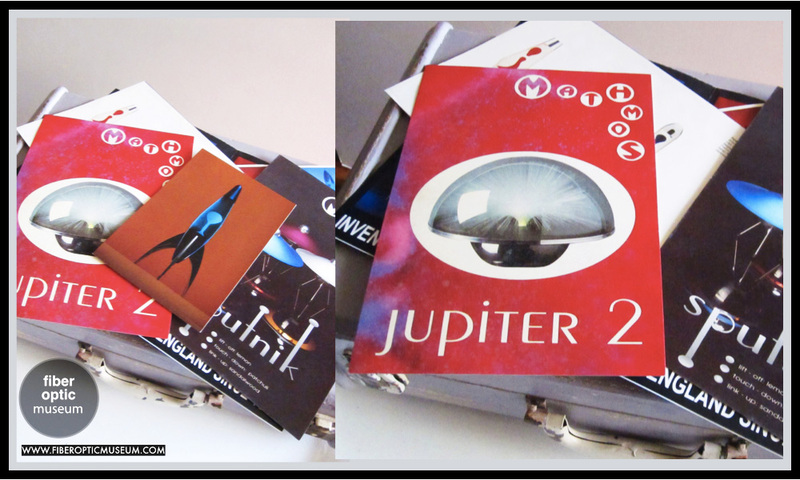 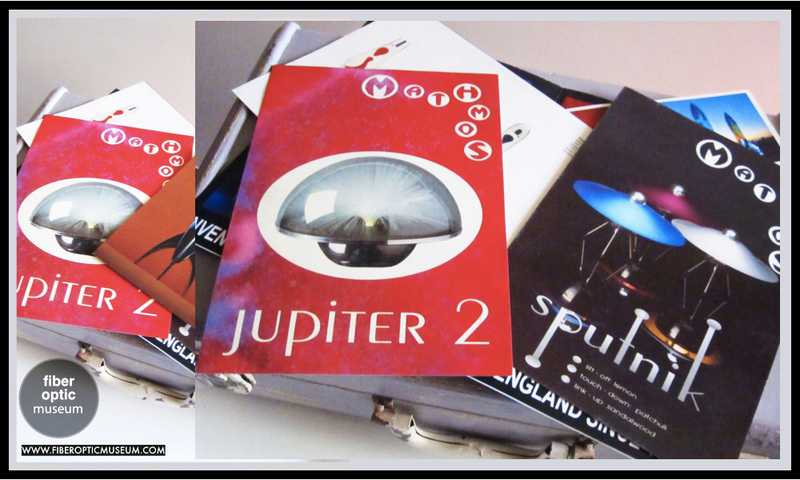 Click here to see our special detailed look at the Mathmos Jupiter 2. 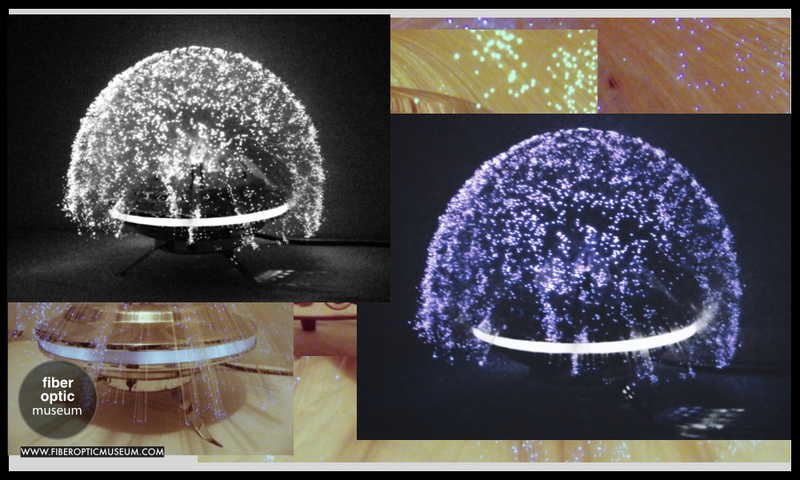 Fibre Space was Mathmos' hit fibre optic product, inspired by UFO space ships and a rather simple base design, this lamp was a hit! 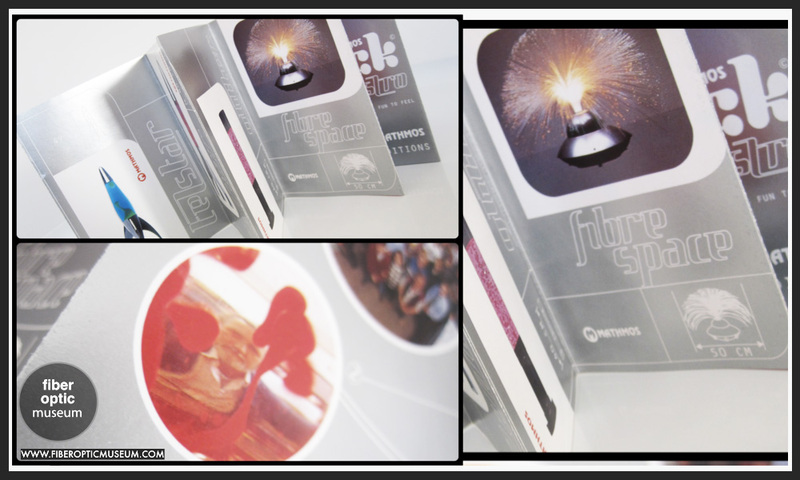 There are two versions of the Mathmos Fibre Space, the first features a black underside that houses the original colourwheel. 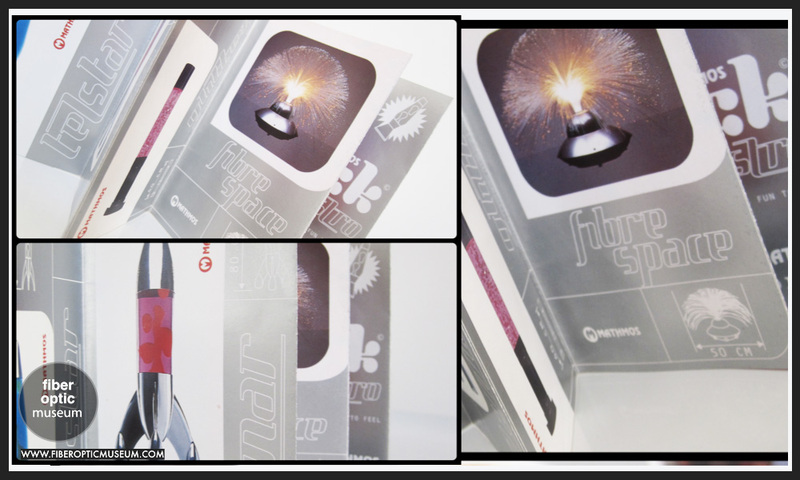 The second edition with a white underside, features a brighter colourwheel with even more colours. 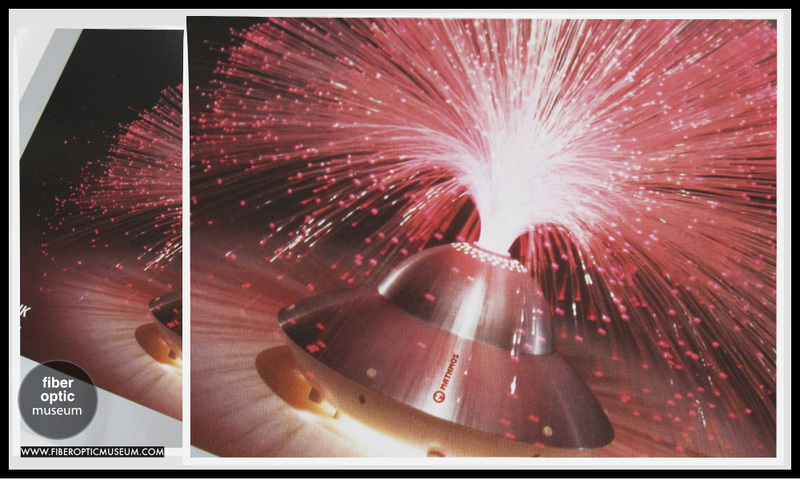 However due to copies of the Fibre Space, it was discontinued and would be Mathmos' last fibre optic product of the 1990s and beyond. 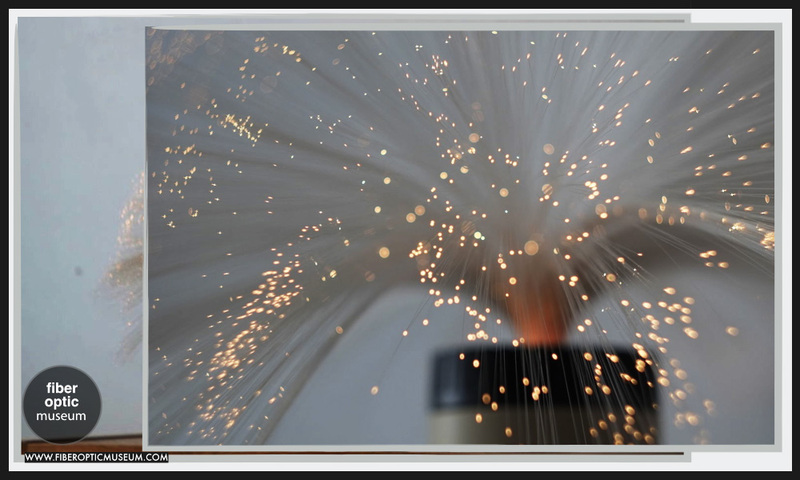 Click here to see a detailed photo essay on the Mathmos Fibre Space. 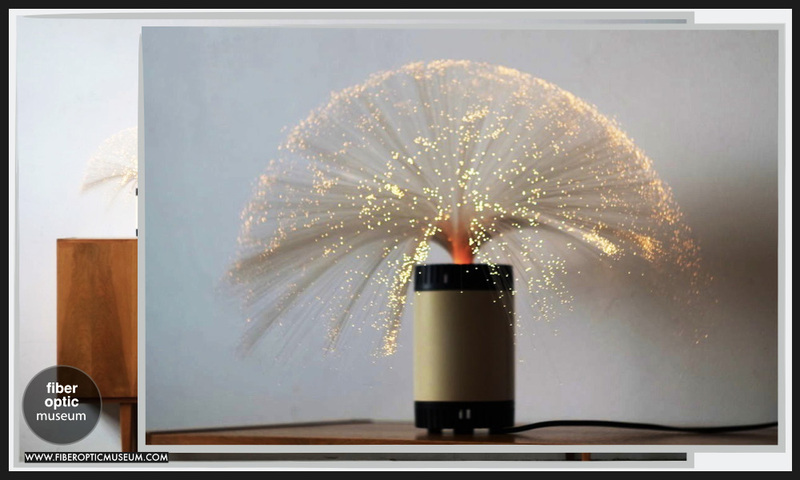 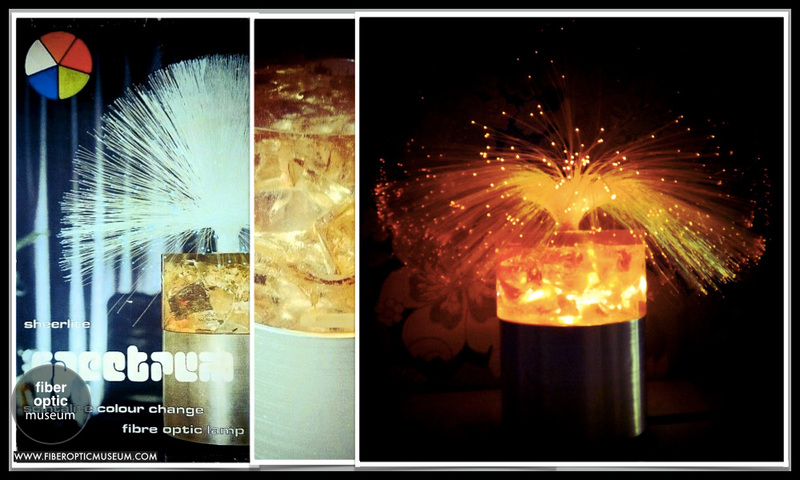 Below: With its distinctive beautiful orange crushed ice Shattaline look and automatic colour changing technology, the Sheerlite Spectrum was a very interesting fibre optic design manufactured by Sheerlite ... Other iconic Sheerlite lamps include their Cascade design. 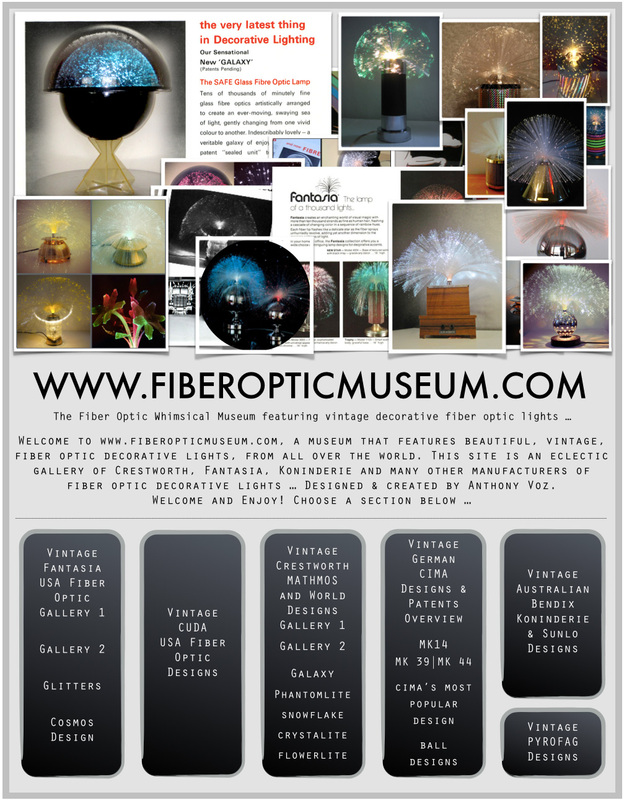 www.fiberopticmuseum.com | Other Schott Designs. 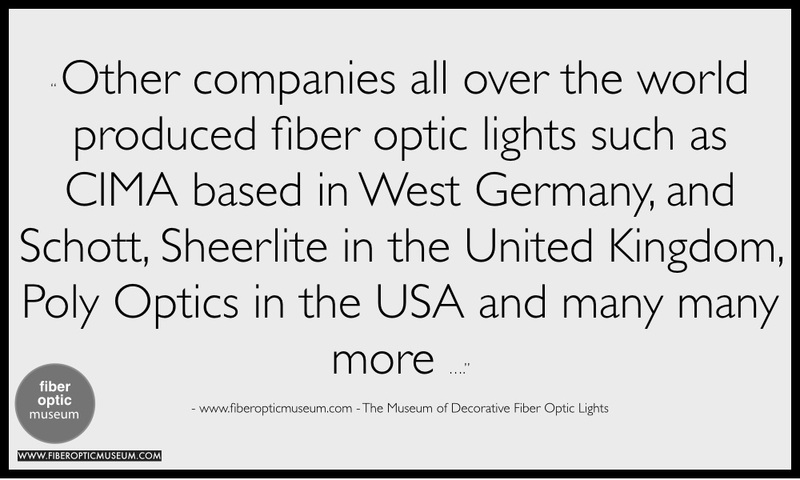 Aside from the Schott Astrax tubular fibre optic designs, Schott created a selection of unique fibre optic designs which featured glass bases. 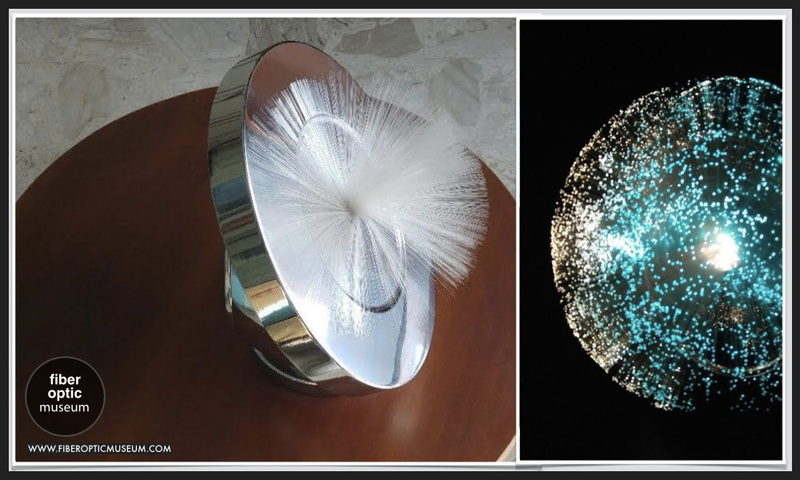 These glass bases, which were made in Germany are often are reminiscent of glass vases and can be seen below ... 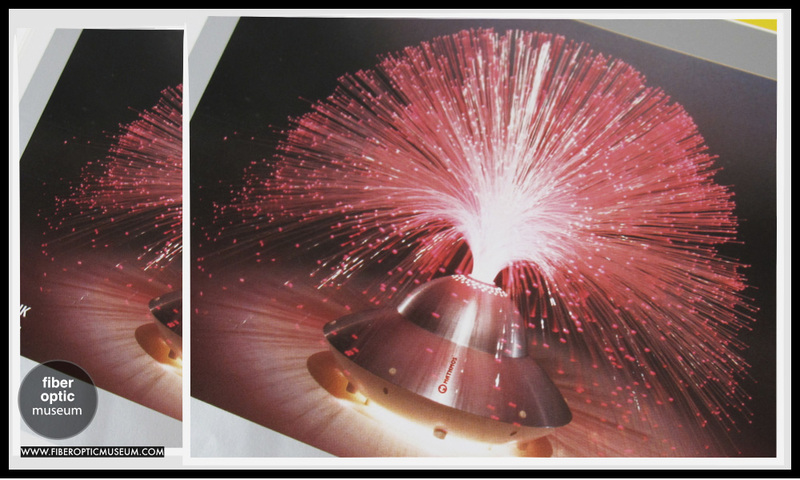 These Schott fibre optic designs mostly use a 6V 10W Halogen bulb. 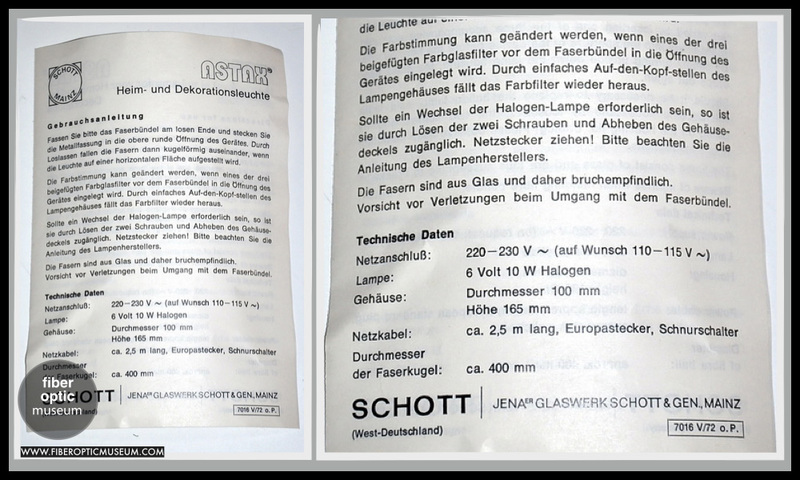 Another design by Schott which features a black and metallic polished base is Astro.